Many people put a great deal of time and effort into tracing their family history. What we know of our roots tells us something about ourselves. Who we are has much to do with those who came before us. Brenham Memorial Chapel, like many families we serve today, has roots reaching far back into Brenham’s history. In fact, we have the longest history of funeral service in Brenham, dating back to the early 1900s. Leon E. Simank, son of Charles Simank, joined his father in funeral service in 1918. Leon built Leon Simank Funeral Home in 1929 at 500 South Austin Street. In 1956 the independent funeral directors, Edward T. Gall, Leon E. Simank, and William H. Buske, of Mercer Buske Funeral Home, established Brenham Memorial Chapel. 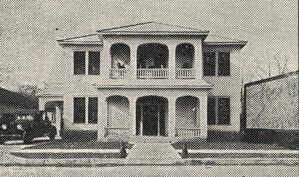 A new building was erected at 509 South Baylor Street, which had been the site of Giddings Memorial Church, a building used for worship until 1939. The Brenham Memorial Chapel partners were soon joined by Leon’s brother, Burney Simank. Elton Anderson, Jr. joined the funeral home in 1970. 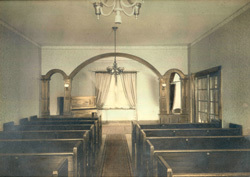 In 1977 Brenham Memorial Chapel was acquired by the Anderson family: Elton B. Anderson Sr. and Agnes “Andy” Anderson. Leon and Burney Simank, Edward and Annie Gall, and Bill Buske continued to work with the Andersons for the rest of their careers. Brenham Memorial Chapel funeral home continued its tradition as a family business, with the addition of Karen Anderson upon her graduation from Commonwealth Institute of Funeral Service and her licensing as a funeral director in 2000. 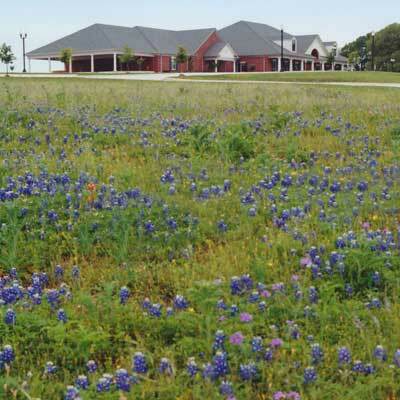 While the Baylor Street location had served well for many years, the growth of the Brenham community created the need for a larger, more modern facility. A beautiful hilltop location, at the corner of Stringer Street and Becker Drive, was the obvious choice for a new funeral home with spacious, modern facilities and ample parking. 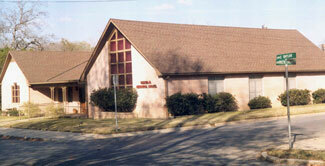 On April 30, 2000, Brenham Memorial Chapel’s new home was dedicated. Thus the funeral service with the longest tradition and the oldest roots became the newest funeral home serving the Brenham area. Buildings and locations have changed, but our tradition of dedicated funeral service to families remains constant and unchanging through our 63 years as Brenham Memorial Chapel.